Premium Allergen HEPA filter designed to fit Shark NV450 & NV480 Rotator PowerLight Professional Upright Vacuum Cleaner. Removes existence of dust mites, mold spores, pollen and pet dander inside your home. Should be replaced every 6 months to ensure peak performance of your vacuum unit. Note that this is an aftermarket replacement vacuum filter manufactured specifically by FilterBuy for high quality allergen protection. Any vacuum cleaner manufacturer brand name is used solely for the purpose of demonstrating compatibility. 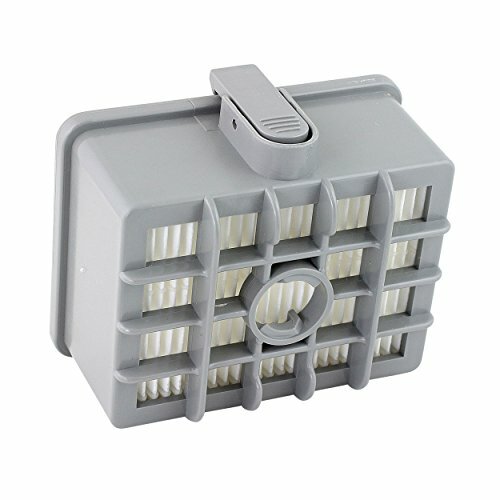 FilterBuy Shark XHF450 HEPA replacement filter is compatible for the following Shark Models: NV200, NV200C, NV200Q, NV201, NV202, NV202C, NV450, NV472 & NV480. Manufactured by FilterBuy to replace Shark Part # XHF450. Removes existence of dust mites, mold spores, pollen and pet dander inside your home.